English Heritage seems determined to spend millions of pounds of taxpayers’ money on not altogether necessary changes to the site around Stonehenge in Wiltshire. 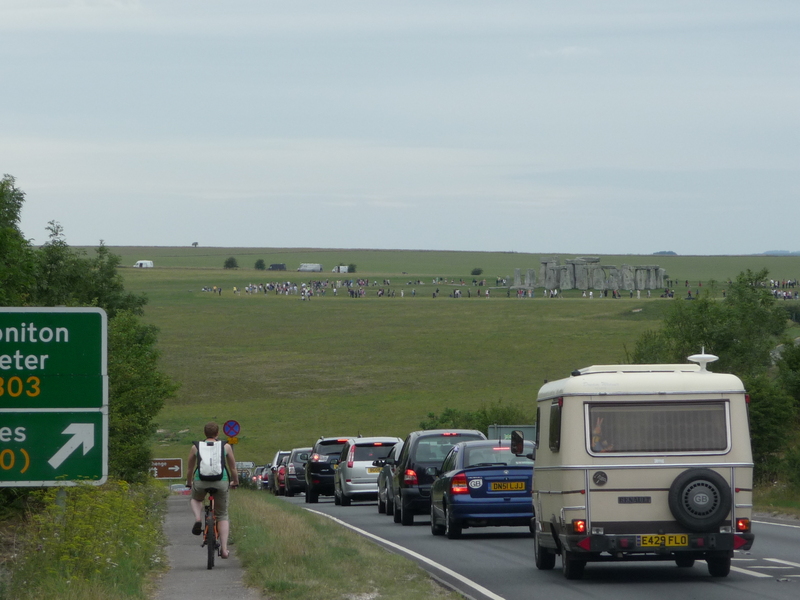 The saga began last summer when the Coalition government cancelled a proposed £25m scheme to replace the current visitor centre and shift it one and a half miles away from the stones, as well as diverting the nearby A344. This was all for aesthetic reasons so as to present the Neolithic stones in a more pleasing environment away from horrid cars and pesky tourists. At the time, the Chief Secretary to the Treasury said the scheme had been devised when the previous government was going on a ‘pre-election spending spree’ and the English Heritage proposal did not ‘represent good value for money’. Five months later, however, the scheme was back on when English Heritage received a £10m grant towards the new visitor centre and closure of the A344. Now, it is happy to see taxpayers’ money spent on a costly public inquiry into diverting the road away from the site so as to ‘restore the dignity’ of the stones. Chief Druid Arthur Pendragon, however, smells a rat, believing the costly shifting of visitor centre and road will actually reduce public access to the prehistoric monument and give English Heritage a monopoly over visiting it. Still, maybe we should be grateful for small mercies, as English Heritage had earlier asked for £500m so they could place the section of road that runs nearest the stones to be hidden away in a tunnel. Even the previous free spending government thought this was going too far and binned the extravagant scheme in 2007. Tens of thousands of revellers gathered at Stonehenge for an all-night party to celebrate the longest day of the year this morning – despite grey clouds that obscured the sunrise. English Heritage say 18,000 revellers descended on the site that is usually roped off to the public to witness dawn at exactly 4.43am. 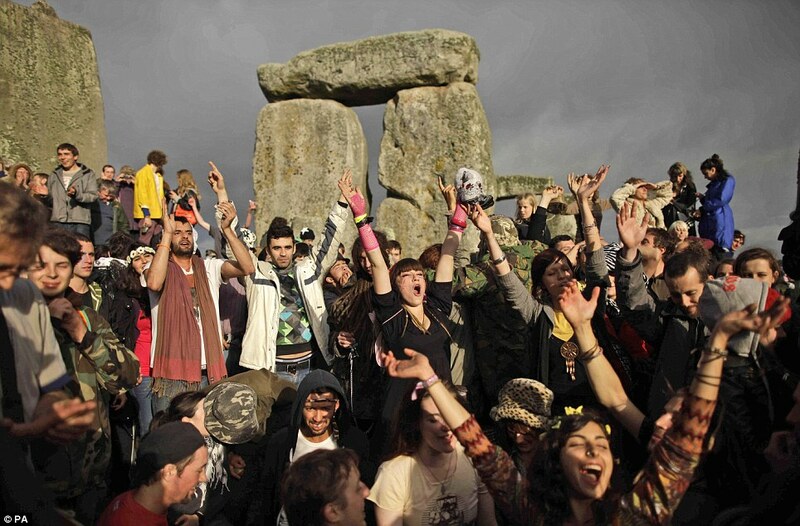 The event is significant for druids, who were joined by hippies, pagans and tourists as well as hordes of younger visitors in search of a good party. However the number of people who camped out overnight or arrived early to witness the dawn was down on previous years because of the poor weather and the solstice falling on a weekday. There was no beautiful sunrise into clear blue skies – heavy overnight rain gave way to overcast but dry skies as the sun rose, greeted by cheering and applause. The self-styled King Arthur Pendragon, the veteran druid who led the event, said it had passed off smoothly. ‘We didn’t get a great sunrise but it was dry,’ he said. ‘Everyone seems happy with the result. Stonehenge, which is between 4,000 and 5,000 years old, has in past years been the site of confrontations between revellers and police. But Superintendent Gavin Williams, of Wiltshire Police, said the majority of the crowd this year were well-behaved and ‘came to see the sunrise in the spirit of the event’, which was policed in the same way as night spots in the county. However, two men were photographed fighting at the event. English Heritage, which manages the Stonehenge site on Salisbury Plain in Wiltshire, said the atmosphere had been ‘peaceful and good natured’. The annual event is a modern take on solstice celebrations which were once a highlight of the pre-Christian calendar. Celebrations focus on the Heelstone, which sits just outside the main circle, and is aligned with the midsummer sunrise. The solstice is one of the few times access is granted inside the stone circle, which has been roped off since 1978 following years of erosion and vandalism. Stonehenge’s origins remain a mystery, but one theory is that it is a huge astronomical calendar. Others say an ancient sun-worshipping culture aligned the structure with the midsummer sunrise and the midwinter sunset. The World Heritage site was used as a cremation cemetery since its inception, archaeologists say, but it is unclear if that was its principal function. When robed Druids gather at Stonehenge for the summer solstice in next week, they will be worshipping at the prehistoric stone-circle monument for the first time as members of an established religion under British charity law. The classification means members of the ancient pagan tradition, which some see as a curiosity of Britain’s ancient past, have mainstream status equal to the Church of England. The change of status, which is controversial, gives them tax advantages. Opponents of the change of status regard it as a mistake made for the sake of political correctness by a government agency, the Charity Commission. The see it as the first step to recognition of Scientology, sorcery, witchcraft or even the Jedi as religions eligible for tax-exempt status. The 2001 census recorded the country as having some 390,127 Jedi, the fictional Star Wars religion, in England and Wales. After a four-year campaign by the Druids, the Charity Commission says it accepts that they worship nature and believe in the spirits of places such as mountains and rivers, as well as in divine guides. Druids are best known for the gathering at Stonehenge each year on Jun 21 to greet the dawn, but they hold festivals eight times a year to mark stages in the solar and lunar cycles. 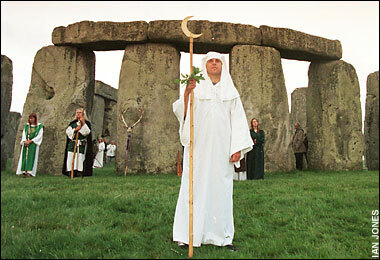 Encyclopedia Britannica describes the ancient Druids as members of the learned class among the Celts. They do not worship a single god or creator, but seek to cultivate a sacred relationship with the natural world. 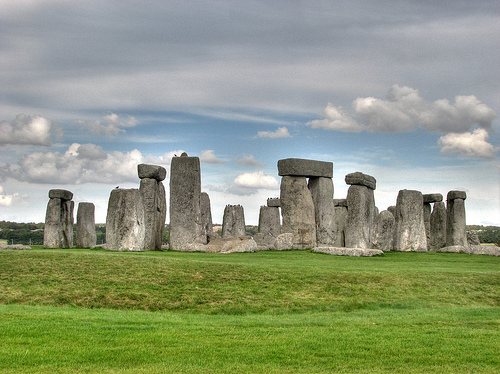 The earliest known records of the Druids come from the 3rd Century BC. The Solstice car park, just off the A303, will open from 7pm on Monday, June 20, with last admission at 6am on Tuesday, June 21. Access to the stones and car park will be free of charge but organisers have advised people to use public transport where possible. Todays’s total eclipse of the Moon may be the most striking for years but observers at Stonehenge must be content with a view of only the closing act of the drama. The Moon stands over the southern Indian Ocean as it passes through the central dark umbra of the Earth’s shadow, plunging deeper into the shadow than during any eclipse since 2000. This may well result in an unusually dark eclipse, with the Moon’s disc turning a deep reddish-brown as all direct sunlight is blocked. In fact, the umbra is never black. A little light must reach the Moon from the parts of the Sun’s outer atmosphere, the corona, that are not hidden by the Earth. But more sunlight is refracted and scattered around the edge of the Earth by our planet’s atmosphere. Just as sunsets and sunrises appear orange or red, so this light is predominantly red. The umbra is not illuminated evenly, though, since less of this indirect light penetrates to its core and the amount reaching different zones of the umbra is affected by varying atmospheric conditions. In particular, dust thrown up by major volcanic eruptions can render the atmosphere less transparent and the eclipsed Moon so dark that it practically disappears. Our image shows the previous total lunar eclipse as viewed from Florida last December. On that occasion, the Moon traversed the northern part of the umbra and its southern regions, which just missed the shadow’s core, are relatively dark. This week, the Moon passes about a half Moon’s-breadth farther southwards with respect to the shadow, so it will be interesting to discover just how dark and colourful it appears. Wednesday’s eclipse begins when the Moon’s eastern limb begins to enter the penumbra of the Earth’s shadow at 18:25 BST. While within the penumbra, some direct sunlight falls on the Moon but little darkening of the disc will be noticed until a few minutes before the Moon begins to enter the umbra at 19:23. Totality, with the Moon entirely within the umbra, lasts from 20:22 until 22:03 with mid eclipse at 21:13. The Moon’s W limb has withdrawn from the umbra by 23:02 and finally exits the penumbra at 00:01. For Britain, other than the far NW, the Moon rises in the SE during the latter half of totality. Observers in SE England may just glimpse the end of totality, but most of us may see nothing until it begins to emerge from the umbra. From London and Manchester, for example, the Moon stands less than 5° and 3° high respectively at 22:03 BST, with the Sun only a little way below the NW horizon and the sky brightly twilit. The Moon should be more obvious another 5° higher in a darker sky by 23:02. 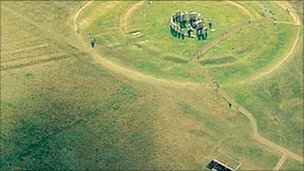 Analytical survey of the ground surface at Stonehenge revealed the presence of a number of interesting earthworks that have a bearing on interpretation and the development of the monument. Chief among these is a low mound that was revealed within the stone settings. Its location focuses attention on that part of the arrangement which is ruinous and supplements former reservations as to whether the monument was ever complete. Survey also revealed that the Y and Z holes are visible as earthworks and that each circuit has a shallow bank within it. The feature known as the North ‘Barrow’ may have preceded the enclosure and therefore be one of the earliest elements at the site. The South ‘Barrow’ by contrast is, at least in one of its phases, a later feature. These are clearly not barrows and the more neutral term ‘circles’ is therefore preferred. An outer bank to the enclosure has been largely truncated by cultivation, while a mis-match of the Avenue at the enclosure entrance indicates that the two may have been mutually exclusive entities. The eastern ditch and bank of the Avenue is revealed to have changed course, perhaps in an attempt to avoid the pre-existing ditch around the Heel Stone.